With over 30 years as an educator, researcher and trainer, Judith has been around many Learning & Development blocks, yet she still finds it's an exciting world to be in. Last Thursday (27th May) I took part in a very interesting ‘LearnChat’ (#lrnchat) via Twitter about the place of design in learning. Since then I have thought a bit more about this topic. If you want to see the transcript of the latest #lrnchat or even join in next week then go to http://lrnchat.wordpress.com/ for full details of when the ‘chats’ take place and what you need to do. I think it goes without saying that ‘design’ pervades all of our lives, whether it is in our homes, the architecture of buildings (as well as in them), the equipment we use, the layout of villages, towns and cities, to name but a few. But so does or should ‘design’ pervade all aspects of what we provide to learners, irrespective of whether that provision is for training, development or educational purposes, and regardless of the means by which the learning is delivered (eg face-to-face, classroom-based, blended, e-Learning, paper-based learning and so on). § ‘purpose, planning or intention that exists or is thought to exist behind an action, fact or material object’. We already have and use the term ‘instructional designer’ which for me covers both definitions provided above and which explains why such a role is both a crucial and fundamental aspect all educational, training and development provision. However, whilst I am an instructional designer, I am not a graphic designer, an artist or, even, a programmer! Yet, I would contest that all these roles are examples of design in learning. In all the forms in which learning takes place, the look and feel of what is, or should be presented to users must be a primary consideration. I’m not just talking about e-Learning here, I’m talking about all aspects regardless of their means of delivery. As far as I’m concerned, learning design per se has been a much neglected area and it continues to be so. From the ubiquitous ‘handout’ to the ‘e-Learning’ course, all elements and facets of design should figure prominently. Just as much most of us like and appreciate the aesthetic aspects of our world, the same is also true for our learning experiences. Essentially, anything which helps me to learn, be it formally or informally, has to be good and this includes the design, in all its formats, which has gone into it. The place of design in learning? It must be a given but I think we have some way still to go to prove it! I’ve now gone past the ‘wow’ factor with Social Media (SoMe) to appreciate just what SoMe tools can do in the world of Learning and Development. Here are a few thoughts. Well, for starters, there are so many of them and they are increasing on an almost monthly basis. If you want to see a list of some of them then look at http://en.wikipedia.org/wiki/Social_media which also provides a neat classification. 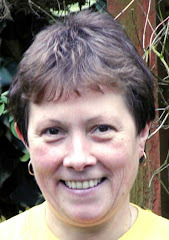 Also Jane Hart (http://www.c4lpt.co.uk/) the UK’s leading SoMe guru (I hope she will forgive me for describing her thus) provides a ToolsZoNE area on her website, which lists over 2,000 tools in 12 categories. But which ones are useful for L&D purposes? Again Jane Hart (http://c4lpt.co.uk/recommended/index.html) lists 100 top tools as voted for by 278 learning professionals worldwide in 2009. Interestingly ‘Twitter’ is ranked the number one tool. Delicious is ranked second with You Tube, Google Reader and Google Docs forming the top five respectively. So, without a doubt, many SoMe tools are not only suitable for L&D purposes but they are also being used more and more by the profession. Although it is relatively early days with using SoMe tools for learning, particularly formal learning, there is a number of interesting reports from people who have embedded the use of these tools into their L&D programmes. One of the most recent reports from Jane Hart (I hope she doesn’t start to get a complex!) can be found at http://bit.ly/9XyYXL which details Jane’s experience of using Twitter in a face-to-face workshop. If you want to know ‘how’ just read her write-up as it’s excellent. On 30 April the topic for #lrnchat was ‘Enterprise 2.0’. I expected the ‘chat’ to be about Enterprise 2.0 platforms but to my delight it focused on Enterprise 2.0 tools, i.e. SoMe tools. You can find a transcript of the chats on this topic at http://lrnchat.com/. It was interesting to discover that only a relatively few people had actually managed successfully to embed some of these tools into their current L&D programmes. Apart from IT issues, such as IT departments/controls which block or act as a negative influence on the use of such tools, there are some other factors which, seemingly, are limiting their use. Factors such as getting buy-in from the ‘hierarchy’, the ability of learners to use the tools, a limited vision as to how these tools can be used effectively and not just because they are available, and how to ‘manage’ their use by the L&D profession, appear to be some of current constraints. However, in the next year or so I expect to see the increasing use of SoMe tools in L&D as current constraints are overcome. It is their power and potential which will come to the fore and survive, believe me! Many thanks to my growing network of L&D folk, without whom I would not have been able to write this post. Co-owner of Effective Learning Solutions - a company which does what it says on the can. Ex-teacher (11 to 18 years), ex-public and private sector (Barclays Bank) L&D specialist. Now specialises in instructional design. A Director of the British Institute for Learning and Development.